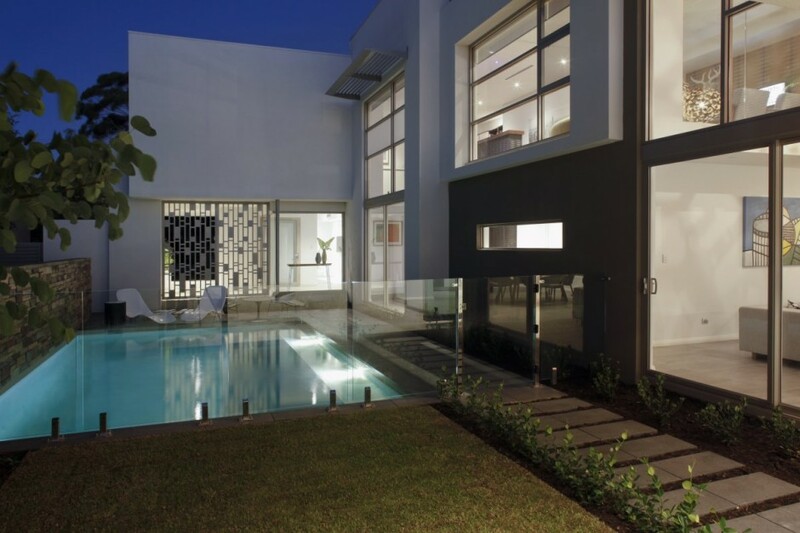 This contemporary building created by Mick Rule of Craig Sheiles Homes, is a perfect constructed modern house that has wonderfully light exterior walls, large ceiling to floor windows, a sheltered balcony and an incredible contained pool located at the rear of the house. 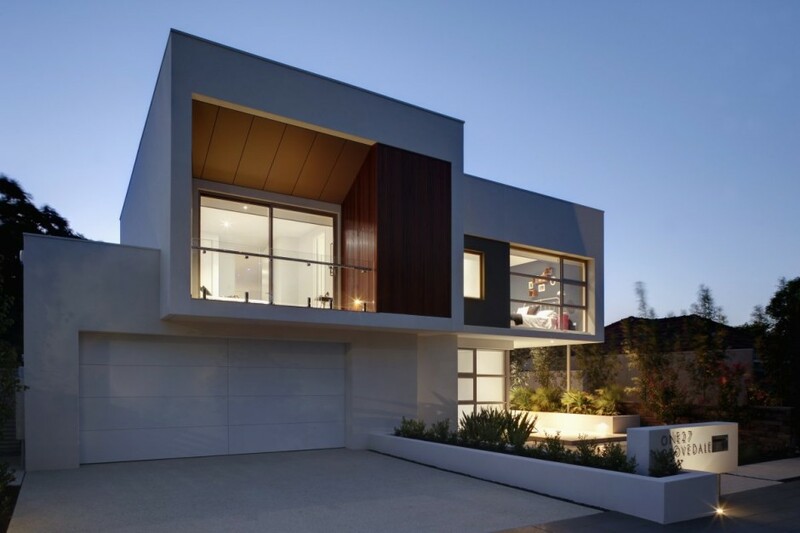 It consists of a series of simple and overlapping rectangular volumes that create a very unusually contemporary building and is located in Perth, Australia. The interior is very simple with its white walls, light grey stone floors and rich wood finishing, while the dark panelled wall on the edge of the stairs is a real feature. Simple fabric and leather furnishings help to finish this stylishly designed interior and help to keep it modern and contemporary.